More than 125 students, representing 26 teams from 16 area high schools, will compete in the 2019 North Regional Wisconsin Science Olympiad next month, held for the first time at the University of Wisconsin-Stevens Point. The event is from 9 a.m. to 2 p.m. Saturday, Feb. 9, in the Chemistry Biology Building, 2101 Fourth Ave., Stevens Point. The event is free and open to the public. Students from Appleton-St. Francis Xavier, Athens, Chippewa Falls, D.C. Everest, Denmark, Lakeland Union, Marshfield, Medford Area, Menomonie, Mosinee, Neenah, Portage, Spencer, Tomah, Wausau East, and Wausau West high schools will compete. Teams will participate in 28 science knowledge and skills tests and demonstrations, including computer coding, thermodynamics, forensic chemistry, robotics, and cryptography. 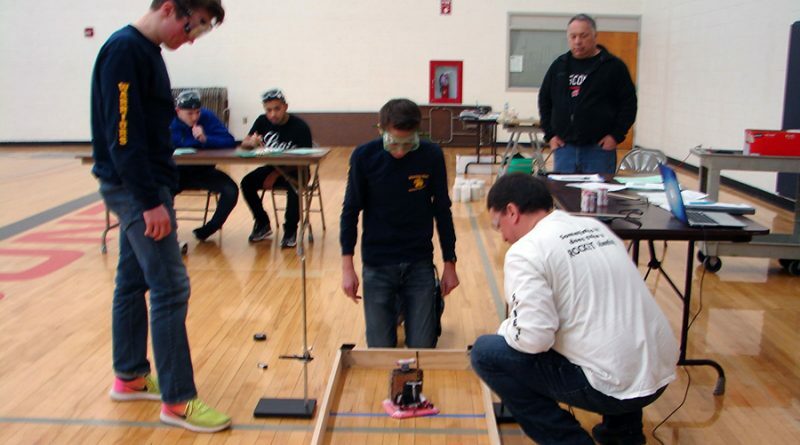 Teachers from the participating high schools, along with UW-Stevens Point faculty members from campuses in Stevens Point, Marshfield, and Wausau, will design, run and score the competition, adhering to national event requirements. Qualifiers will advance to the state tournament at UW-Stout on March 15 and 16. Now in its 35th year, the Science Olympiad is the largest team science and technology competition in North America. The national tournament will be held June 1 at Cornell University, Ithaca, N.Y. Tournament organizer Keith Montgomery at can be reached at keith.montgomery@uwsp.edu or (715) 212-8008.